Stalactite, Greek origins, meaning "to drip," or "that which drips." A dripstone that hangs from the ceiling of limestone caves. 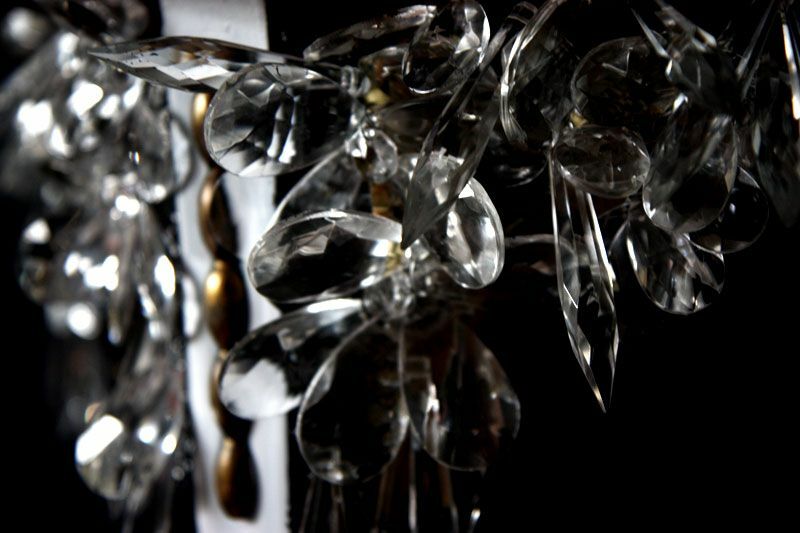 And so, my never ending love affair with crystal continues. Except this time, it's oddly seasonally appropriate, as my latest piece reminds me of an icy terrain every time I look at it. This is an extension of the lamps and dagger heels that I made a while ago, but on a larger scale. I like things that have a certain amount of aggression in them. Aggressive shoes, aggressive fashion... aggressive tables? Sometimes it's difficult to capture that same sort of ferocious elegance in an interior, without it coming off as overly sparse and minimalist. What this lacks in color, it makes up in light. Created and photographed by (IN)DECOROUS TASTE. It's mad! I love it! I was wondering last night when we'd see it. In my mind, the top was an icy, spiked surface, and I thought, well, I can never have one, because my cat would walk across it and she doesn't have snow shoes. But this is really entirely logical. Tables dripping icicles ought to be de rigueur, and you ought to be the de facto creator. It'll usher in a renewed age of design guilds, and you'll be the queen's favorite. Jezebel- Thank you! Glad you like it! It's funny you should say that you thought the top would be an icy spiked surface- I was absolutely planning on it! But then I figured, it would also be nice to be able to actually, you know, USE the table, so I ended up with this. You are mad in such a deliciously creative way. A bit of Tony Duquette in you who was such a genius. A huge thank you to Home Before Dark who told me about you. It's very chic with a dangerous edge. Definite Conversation Piece! I agree with SR2 about the Tony Duquette reference. If you haven't read More is More, it's more! I have leaded glass in my front door and crystal/ glass orbs around the room. I like seeing the patterns fall across the room. Like having a personal rainbow. Your table would look delicious in a bay window. Style- Why thank you! I love Tony Duquette, so that is EXTREMELY flattering! home- I haven't read it yet! I have Wendy Goodman's book on Duquette, but I haven't had a chance to get my hands on the new one yet. A leaded glass door and crystal orbs sound lovely. Definitely (obviously) right up my alley. And yes! The table is sitting under a window right now, actually. wow it really does have the effect of limestone! and icicles? i think it looks far better clear than it would in colour. ps thanks for your embarrassing haircut anecdote, why do we never have the guts to intervene before it's too late! The crystal detail is so stunning!! Gorgeous piece. You have to buy More is More...you will LOVE it! My husband and I laid in the hammock looking at it for 3 hours when the UPS man came knocking on our door with the delivery! LOVE The Table. Immediately calls to mind ( my mind at least) one of the rooms in the “ice-palace” at Varykino while watching .Doctor Zhivago. 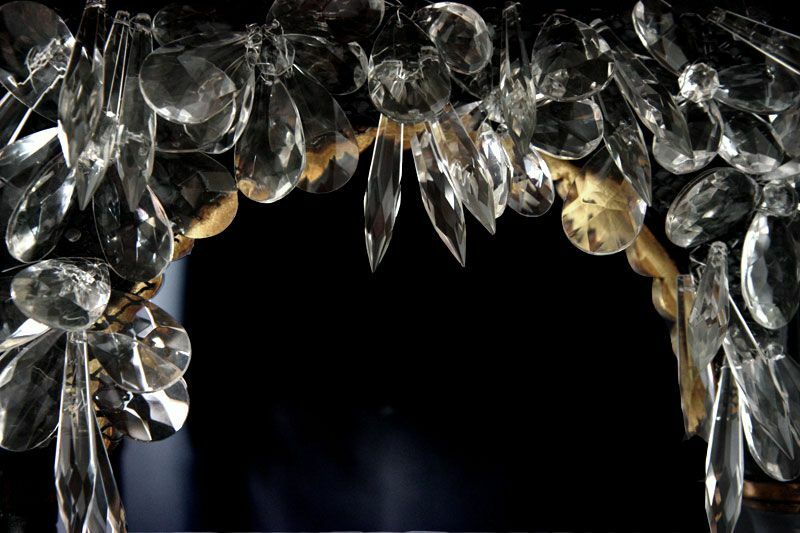 Do more, think pelmets over velvet, and how fabulous would a canopy bed of crystal be? Louis St.Lewis- Thank you! I haven't thought of it in years, but I've always been taken with the imagery of the iced-over palace in Dr. Zhivago. I definitely see the connection, too. A canopy bed of crystal??! GENIUS. 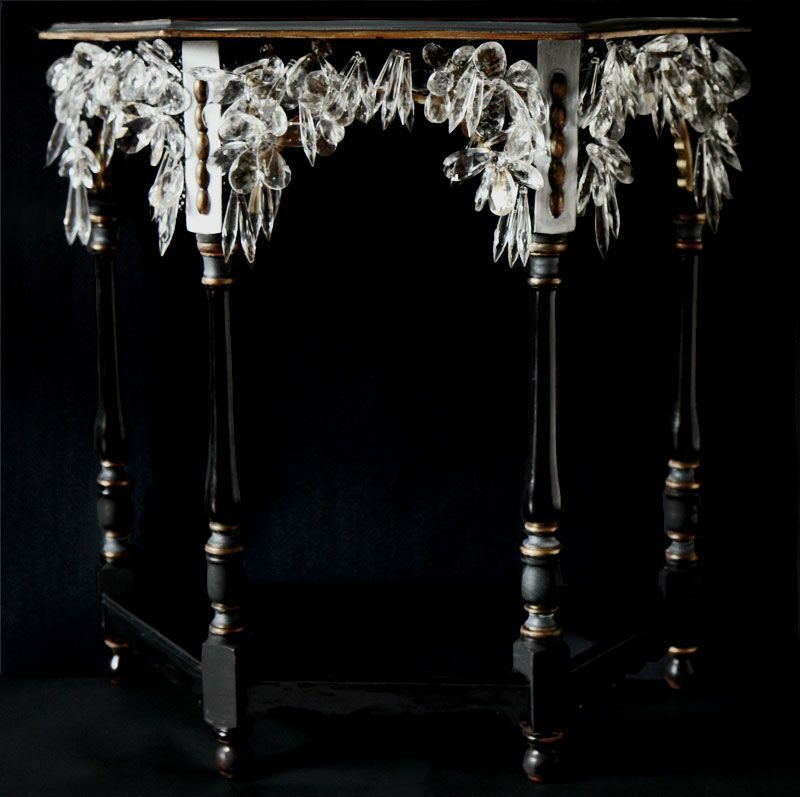 I don't know if I've time to find it right now BUT I have to send you an image of my favourite console table. Chatsworth - fossil marble plinth (on bun feet) and turned tapered marble column legs with a top to match the plinth......dull it sounds. However hanging from the underside of the top are three stalactites! This is ridiculously fabulous. I can't get over this. Wow. Wow. IT'S ABSOLUTELY FABULOUSE,IT'S IN YOUR HOME? !